Complete reputation and relationship management. 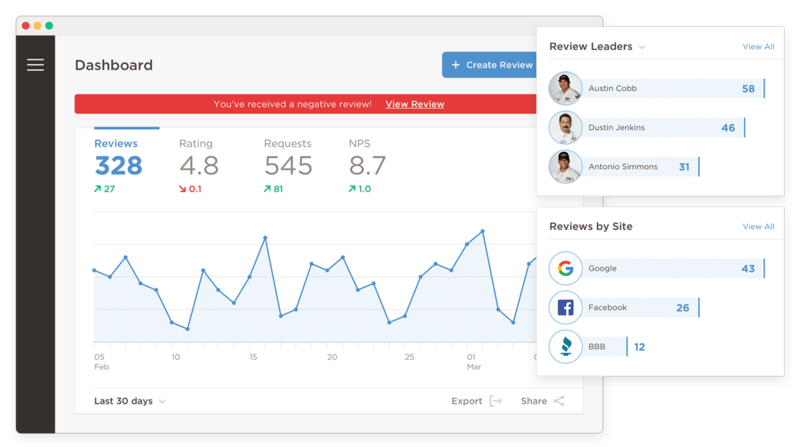 ReviewBuzz gives you a suite of tools to manage your reputation and the relationships that influence it. 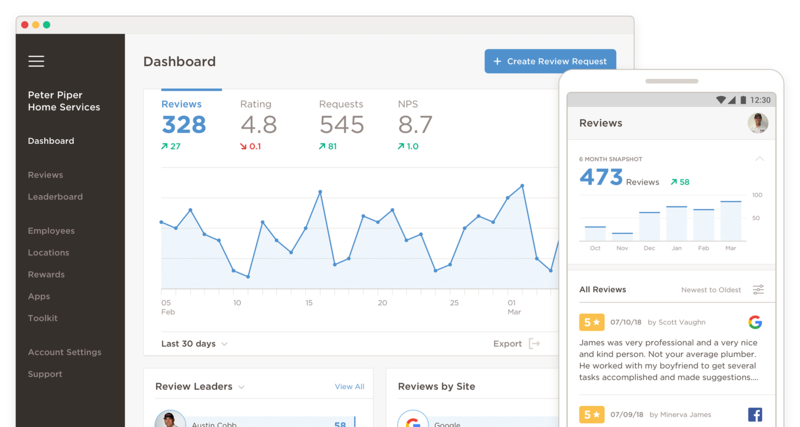 Generate, manage and turn your reviews into more business. Get more reviews with less effort. It’s easier than ever to get the most reviews on the sites that matter with one-click review requests, and text message communications. 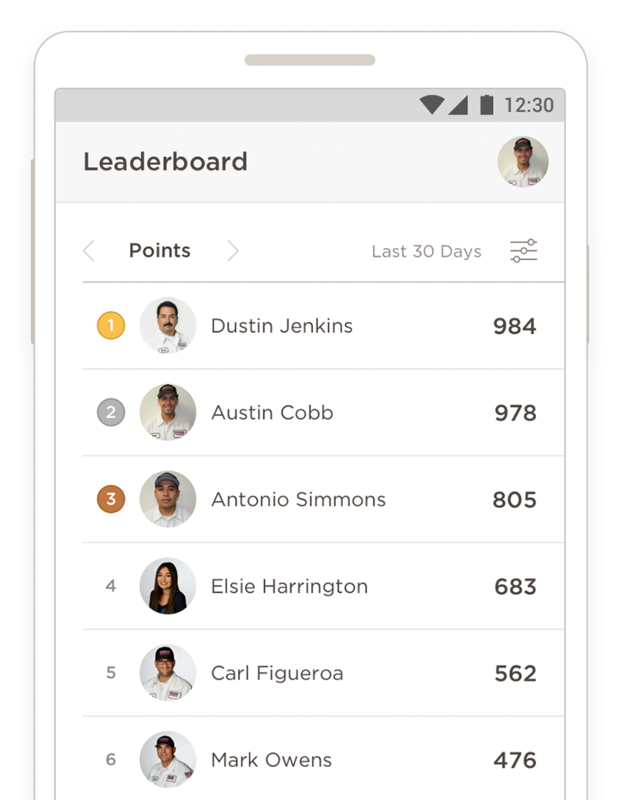 Send requests from your desk, or have your team send them from the field. Simple, flexible, and in one place. Easily sort and filter by employee, location, review site and channel. 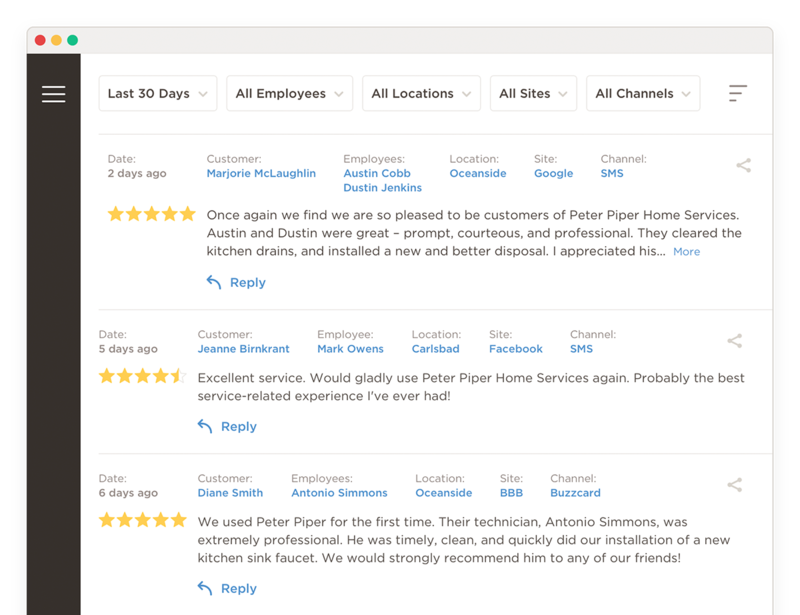 Get alerts and quickly respond to negative reviews to create great customer experiences. Gain key insights into your reputation. A quick glance at all your KPIs lets you know exactly how your company and team are performing. Plus, get instant alerts and quickly discover actionable trends to grow your online reputation. Connect ReviewBuzz to tools you already use. 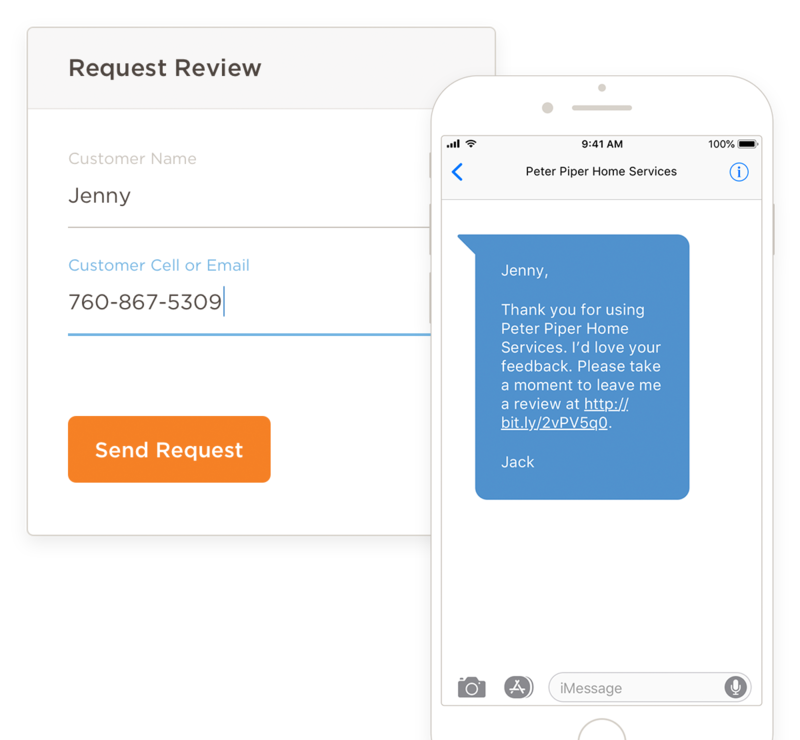 Integrate with industry-leading software to automate review requests and save time. Clients who integrate with other software see up to a 200% increase in reviews. 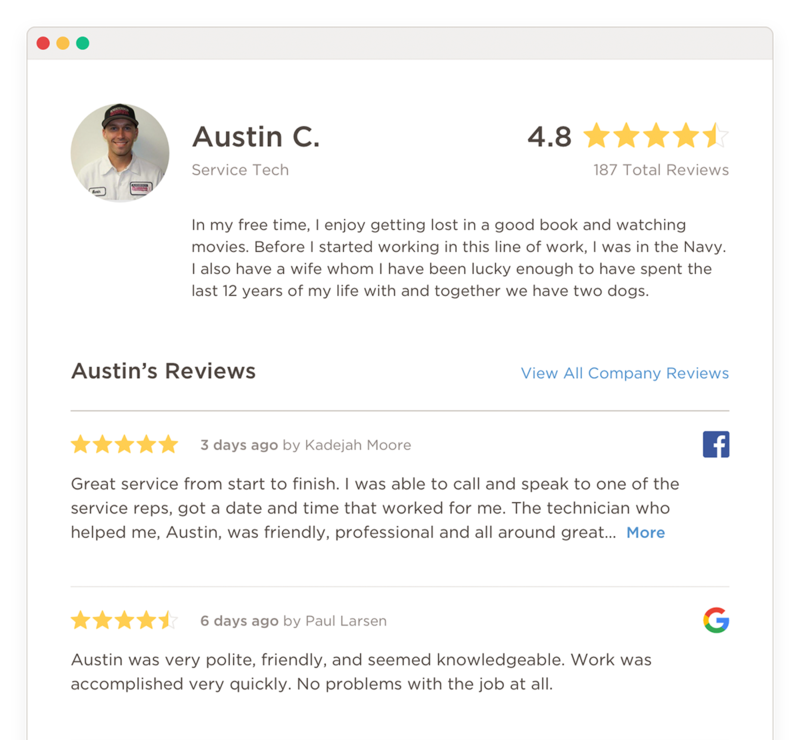 Make it easy for your customers to leave a review. Once you choose and prioritize the review sites you want, our system automatically directs customers to the one that works for them. A seamless experience for the customer means more reviews for you. Get found more often with ReviewBuzz business listings. Expand your presence in local search results. 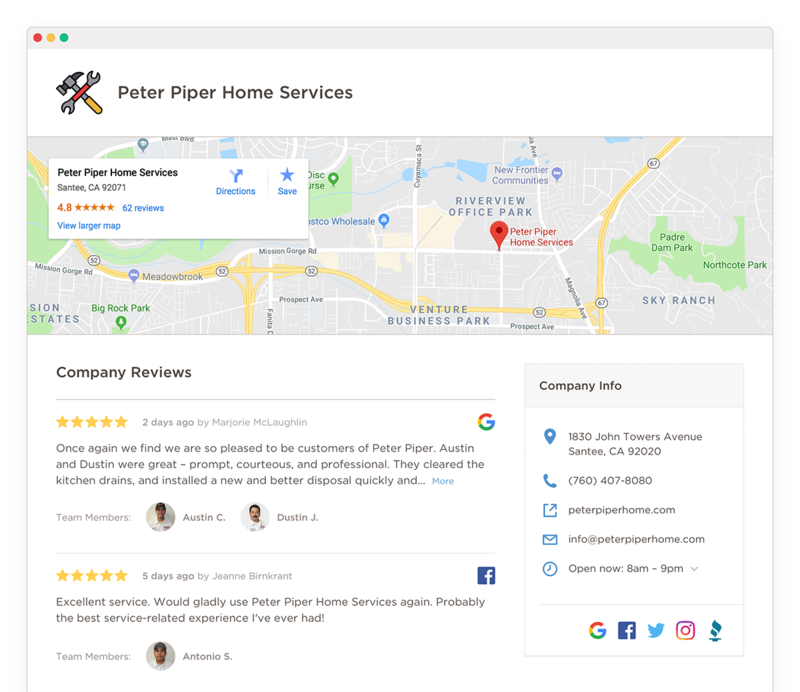 Show off all of your reviews from across the web, along with your business information and social feeds, all in one place. A custom-branded business listing is created automatically for each of your locations, increasing your visibility — and the number of calls you get. Each of your employees gets a personal online review portfolio that builds pre-sale trust with your customers, and helps your team close more sales. Recognize, reward and empower your team. Empower your people in the field. Get more reviews at the point of service by putting the power of ReviewBuzz in the field with our mobile app. 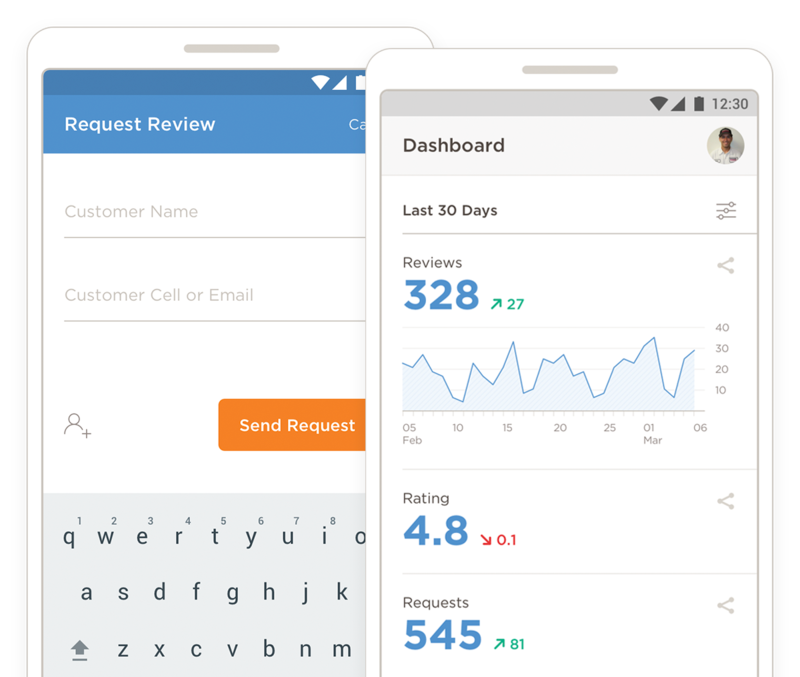 Employees can request reviews, read reviews, check their stats, and update their profile with the tap of a finger. Create competition & boost performance. Get your team motivated and excited about getting online reviews, improving their service and making your company look better. 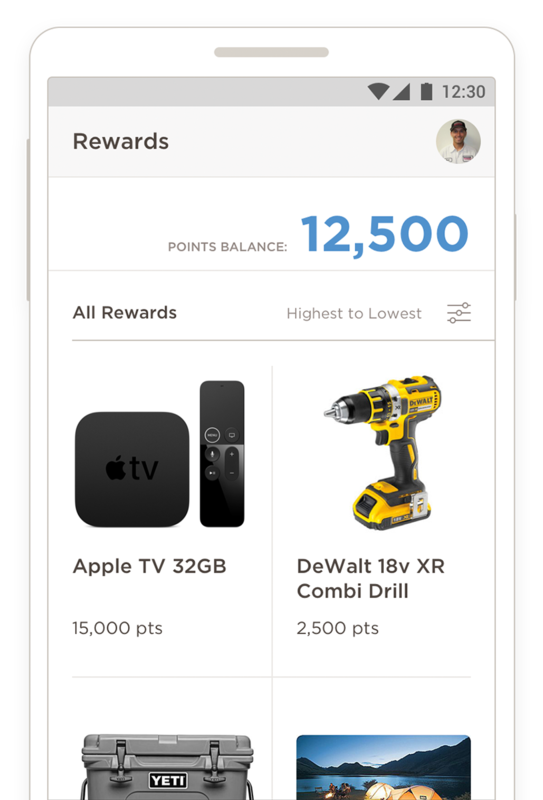 Easily integrate results into your employee review and reward process. Reward employees for stellar service. Choose your own prizes, how many points each employee gets for earning reviews and surveys, and how many points it takes to earn each prize. Win customers and build trust for a better service experience. Build trust before you walk through the door. 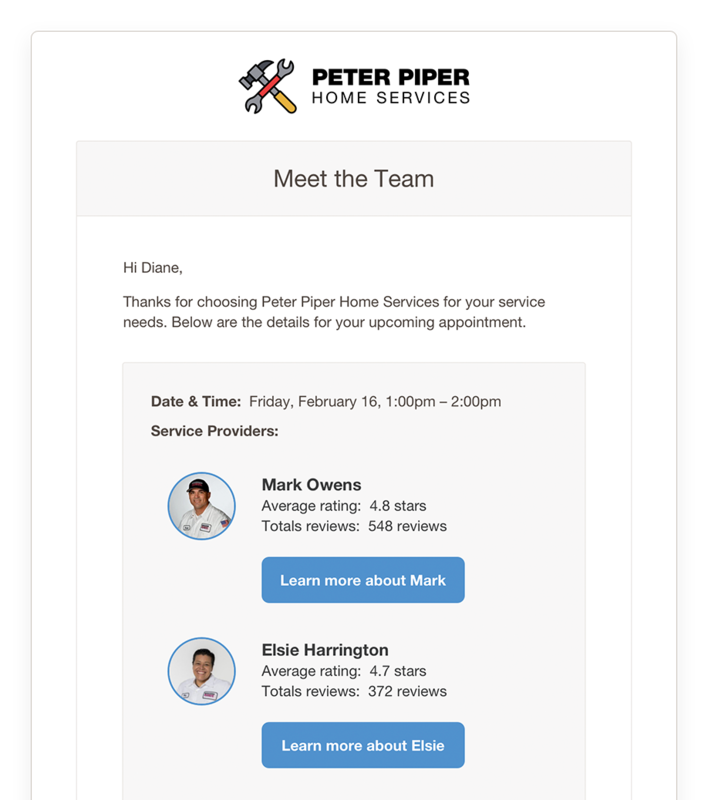 Send a pre-appointment text or email to your customers introducing them to the team that’ll be visiting them. Customers who feel safe and knowledgeable lead to increased sales. 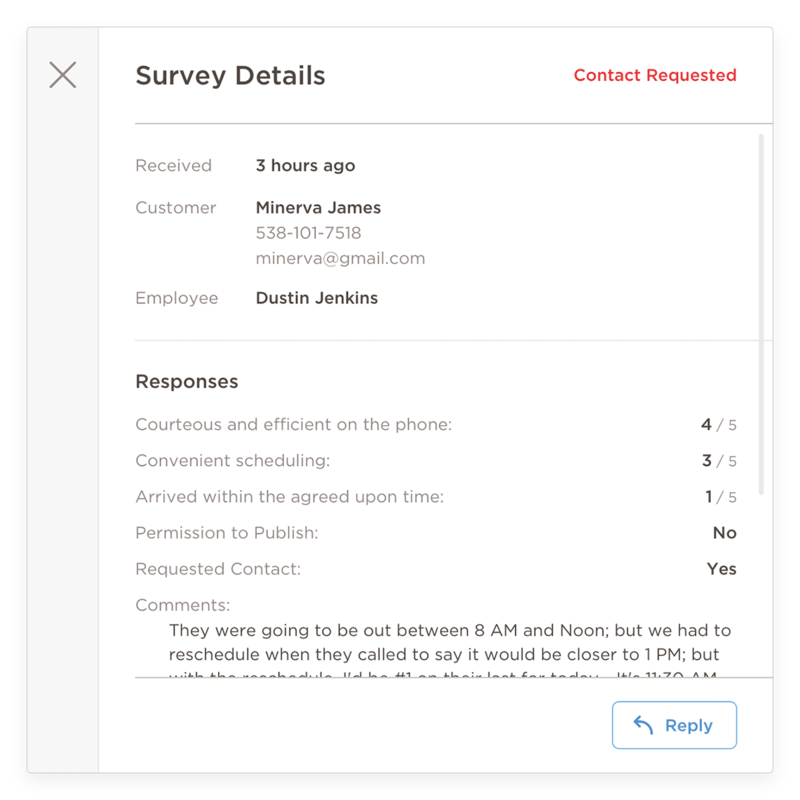 Customer satisfaction surveys give you full visibility into how your team is performing. All surveys are tied to individual employees, so you’ll always know exactly how your customers feel about your employees and your company. Try ReviewBuzz Free for 30 Days.